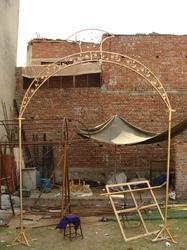 Pioneers in the industry, we offer wedding mandap, wedding rot iron mandap and wedding iron mandap from India. Wedding Mandap are tremendously used in marriage, functions, special events etc. These products are highly demanded in the market owing to their significant features such as glistening, and give an ultimate luxurious look. We fabricate these products using optimum quality materials based on well innovative technology in complying with the quality standards. Our clients can avail from us these products at most competitive prices. 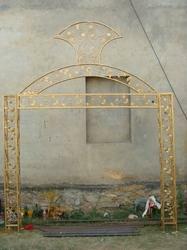 We are providing an excellent range of Wedding Wrought Iron Mandap. These are extraordinarily sturdy and are available in exclusive designs and colors. These are appreciated for their high tear strength & capacity to bear external weather conditions. These products are offered in materials and designs that appeal to the clients. 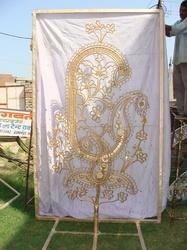 We are supplying fine quality, which are well known for stunning colors and brilliant finishing Wedding Iron Mandap. These are available in various designs, artistic appeal, exclusive designs and finer finish. We made these wedding ceremony chairs using dominance material and are well known for their features such as strong construction, longer service life, easy to use and durable. Our esteemed clients can avail from us at most reasonable prices.